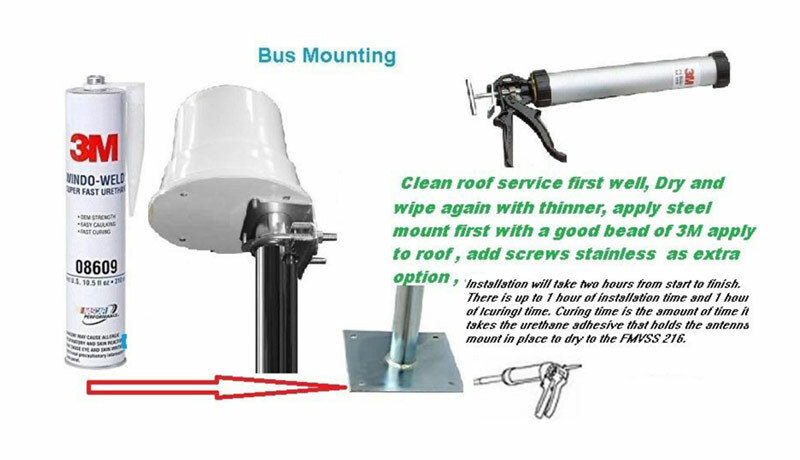 LTE industrial Router for ATM bank and Bus app - Hotware International Co., Ltd.
Must use 3M Urethane- no other type !! This is a permanent install device much like the Roof Ac units. Please follow the instructions as recommended. The Bus roof has cross members TRUSSES . Here you see the AC unit which will be mounted just behind a cross truss. 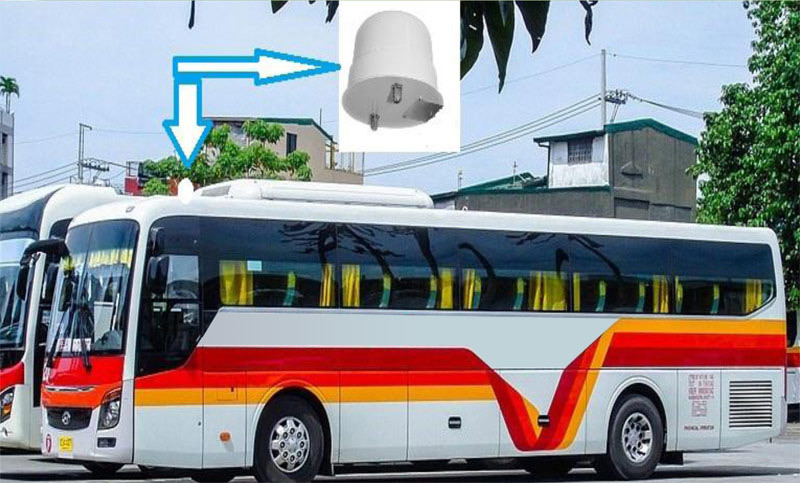 The antenna should be mounted in front of the AC unit. 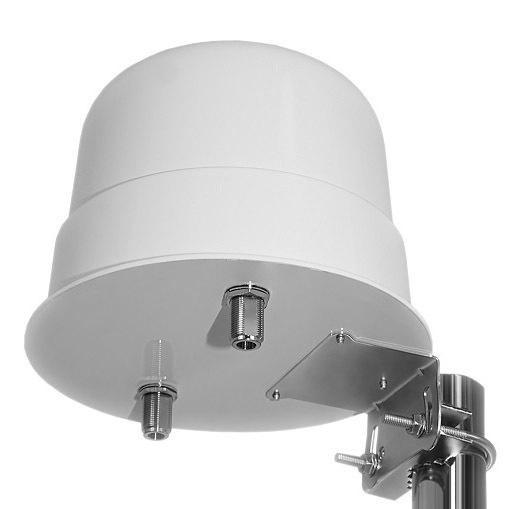 The Antenna is suggested to use 3M urethane which is the strongest UV weather heat resistant adhesive available. Its only as good as the surface paint strength so we provide a through roof bracket that is recommended secure to the cross truss. 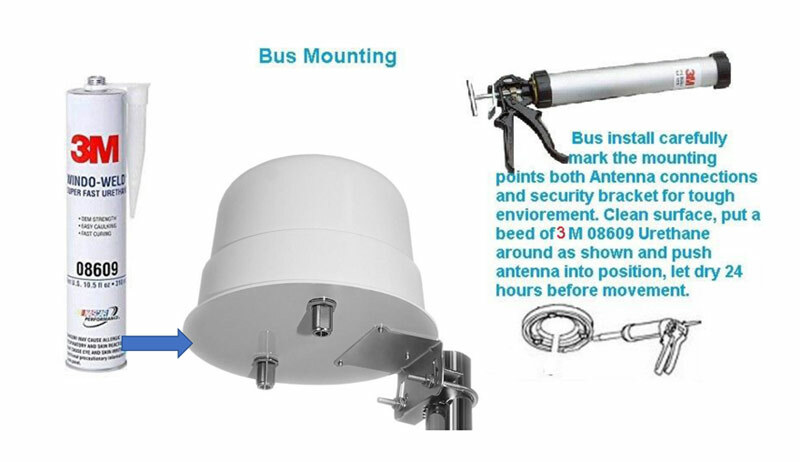 This is important in country areas where tree branches may brush into the antenna. 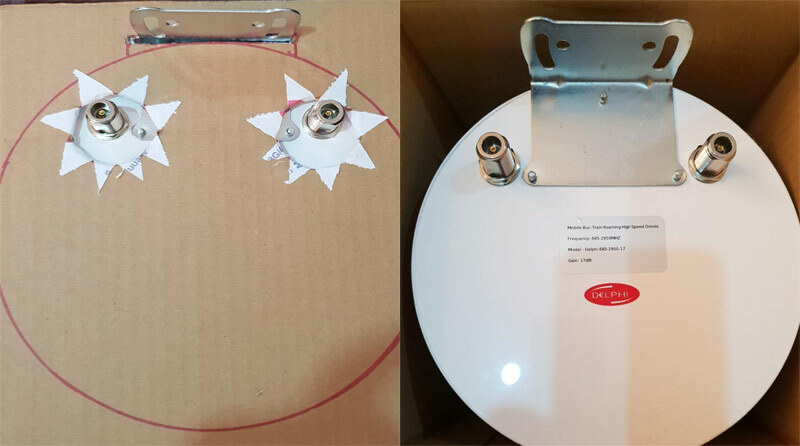 The unit is completely weatherproof is installed correctly.